Modern drivers are looking for a vehicle with a little bit of everything: power, technology, efficiency, and space. For many drivers, this leads them to check out the crowded class of compact SUVs. However, not many SUVs on that list can meet all of your requirements, especially not at an affordable price. Thankfully, the 2019 Buick Envision is a refreshing contender among the luxury compact SUV space and offers all of these qualities and more. The 2019 Buick Envision is one of Buick’s most popular models. This is, in part, due to its impressive power and versatility, but more importantly by its abundance of standard features across multiple automotive categories. Looking for entertainment and safety technology included in the base model? The 2019 Buick Envision will have you covered. Included entertainment features include an 8-inch touchscreen display, two USB ports, Apple CarPlay and Android Auto, and a WiFi hotspot. Meanwhile, safety features include a rearview camera, as well as rear parking sensors and the popular Teen Driver technology. In terms of power and performance, this luxury SUV pleasantly surprises many drivers and critics with its two available engine options. These include a 2.0L 4-cylinder engine and a 2.5L 4-cylinder engine. Conveniently, these engine options allow drivers to prioritize between power and efficiency. Drivers looking for class-leading fuel economy ratings will want to opt for the standard 2.0L 4-cylinder engine, while drivers looking for extra power on the road will be more pleased with the 2.5L 4-cylinder engine. Either way, both engines offer a high level of performance and efficiency compared to others in their class, and drivers can also look forward to choosing from front-wheel driver or all-wheel drive for their new SUV. However, the 2019 Buick Envision is also well-known for its luxury features, which come at an incredibly affordable price. Throughout the cabin, drivers will be greeted with a variety of high-quality materials that are soft to the touch. Controls are smartly placed and offer subtle luxury with a combination of smooth and textured finishes. On its base model alone, the Envision offers nearly every bit of luxury a driver could hope for. However, even more luxurious features are available across the SUV’s multiple trim levels. 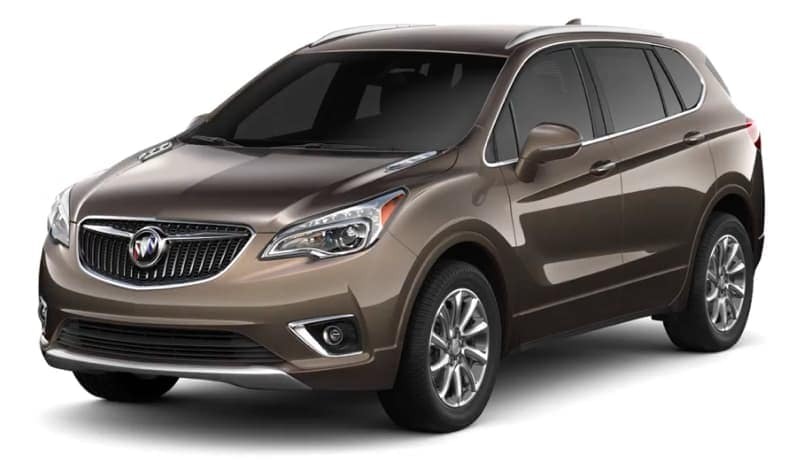 Overall, the 2019 Buick Envision is an excellent choice for drivers looking to experience a plethora of standard luxury features at a reasonable price. However, if you’re interested in purchasing this compact SUV it’s important to take a deeper look into what makes it so uniquely versatile. The 2019 Buick Envision offers plenty of power and performance for the daily commuter, carpooler, or weekend adventurer. Drivers can choose from two engine options, including a 2.0L 4-cylinder engine and a 2.5L 4-cylinder engine. When equipped with its standard 2.0L 4-cylinder engine, the 2019 Buick Envision is one of the most fuel-efficient SUVs on the market. Drivers who opt for this engine can enjoy ratings of up to 22 mpg in the city and 29 mpg on the highway. A fair level of power is also produced by this engine, offering up to 197 hp and 192 lb-ft. However, drivers looking to optimize the performance of their new SUV will want to choose the 2.5L 4-cylinder engine. This powerful engine produces up to 252 hp and 295 lb-ft torque. Drivers and critics note that this configuration of the Envisions offers responsive handling and speedy acceleration, perfect for drivers looking to enjoy long road trips with a sportier feel. The 2019 Buick Envision comes standard in front-wheel drive (FWD), however drivers can easily upgrade to all-wheel drive (AWD) as well. Overall, the Envision is both efficient and powerful, and consumers everywhere appreciate its versatility. Perhaps one of the Envision’s best qualities is its standard entertainment technology. Buick is a firm believer that even luxury vehicles should be made as affordable as possible, and the Envision is a reflection of this belief. Without having to spend an penny extra drivers investing in the base model of the 2019 Buick Envision can enjoy features such as an 8-inch color touchscreen display paired with an intuitive infotainment system, a WiFi hotspot, multiple USB ports, and even Apple CarPlay and Android Auto. Many of these standard features are typically found onboard the highest trim levels of competing SUVs and for a substantial boost in price. Of course, drivers looking to upgrade to even more advanced technology will be able to do so across the Envision’s five trims levels: 1SV, Preferred, Essence, Premium, and Premium II. Throughout these models driver will find additional entertainment features including navigation, a 7-speaker sound system, and wireless charging for compatible devices. When it comes to entertainment, no matter which trim level you choose on the 2019 Buick Envision, you’re sure to be satisfied. This entertainment suite is made even sweeter by the low starting price of the Buick Envision at just $31,995. Drivers and critics note that, much like its entertainment features, the safety features onboard the 2019 Buick Envision are incredibly advanced and affordable. Standard safety features across its base model and higher trims include a rearview camera and rear parking sensors. Teen Driver technology is also included at no extra cost and allows parents of young drivers to carefully monitor the driving habits of their children and control various settings to ensure that safe driving is being practiced. Across the many trim levels of the Buick Envision, drivers can also experience an abundance of available safety features including, adaptive cruise control, forward collision warning, rear cross traffic alert, front parking sensors, blind spot monitoring, and lane keep assist. Other available safety features that truly stand out on the Envision include a head-up display, parallel and perpendicular park assist, and a 360-degree camera. Drivers will also be pleased to hear that the 2019 Buick Envision earned a 5-star overall safety rating from the National Highway Traffic Safety Administration (NHTSA). This is the highest rating a vehicle can receive through this strict test and proves that the Envision is a safe choice for drivers and passengers. The 2019 Buick Envision is a bold, sleek, and modern vehicle. Throughout the interior of the vehicle, this luxury compact SUV features refreshing lines, subtle accents, and a sophisticated layout. The available leather-appointed seating helps to enhance the interior design of this vehicle and is a popular choice among consumers, however the vehicle’s standard leatherette is high-quality, soft, and still offers plenty of luxury. Drivers looking to customize their new SUV will enjoy choosing from the interior color options the Envision has to offer, which includes refreshing dual tones and classic styling. On the outside, the 2019 Buick Envision matches its smooth interior with softly flowing lines and subtle yet eye-catching accents. At higher trim levels, the Envision is equipped with chrome accents and enhanced detailing, which make for an even more impressive exterior design. However, drivers looking for a more sporty option can choose from a variety of available upgrades and accessories. The Envision is also available in a variety of exterior color options, including a bright red metallic paint, as well as more classic white, silver, and black selections. Overall, the 2019 Buick Envision is designed for the modern driver and stands out among its many contenders in the compact class. If you’re looking for an affordable vehicle with as much luxury on the inside as on the outside, you’ll be more than pleased with the 2019 Buick Envision. 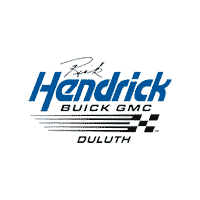 Visit us at Rick Hendrick Duluth! If you’re looking for a convenient and enjoyable car-buying experience, you’ll want to check out what Rick Hendrick Buick GMC Duluth has to offer. We are proud to provide some of the most impressive services in the area including our onsite service center, financing for all credit backgrounds, specials on new, used, and CPO vehicles, and a large selection of high-quality vehicles. Each and every vehicle on our lot is maintained to the highest of standards by our automotive team of experts and competitively priced to ensure that our customers are receiving the best possible deal on their new vehicle. At Rick Hendrick GMC Duluth, you can also expect a high level of customer service, making for an enjoyable car-buying experience. Our goal is to provide a comfortable environment where our customers can purchase their vehicle as efficiently as possible. Our helpful and knowledgeable sales staff is always at the ready to answer questions you may have during your search for the right vehicle. Meanwhile, our finance team is also dedicated to addressing your every concern regarding the financing of your new, used, or CPO vehicle. Overall, new and returning customers can expect to receive a high level of service from the staff at Rick Hendrick Buick GMC Duluth, as well as a fairly priced and high-quality vehicle. So, when you’re ready to begin the search for your next vehicle, look no further than your local Buick dealer.